Stay up-to-date on this session's crop of gun bills using our Bill Tracker page. We list each bill of interest to gun owners, along with links to the bill text, public hearing dates, current status and what you can do to help. Feb 25, 2018 - Two bills related to shooting ranges met different -- but positive -- fates in the Legislature today. LD 489, which would have empowered the Commissioner of Public Safety to allow municipalities to enact noise ordinances which could shutdown existing ranges, was withdrawn by its sponsor, Sen. Justin Chenette, and received a unanimous Ought Not To Pass report from the Criminal Justice and Public Safety Committee, which essentially killed the bill. LD 79, a shooting range protection bill sponsored by Rep. Patrick Corey, prevents owners of adjoining properties deliberately causing existing ranges to close by erecting structures within 100 yards of the range. The committee reported this bill out as unanimous Ought To Pass, advancing it to House and Senate chambers for further votes. Governor Janet Mills' nominee for Commissioner of the Department of Public Safety, Michael J. Sauschuck, was approved by the Joint Standing Committee on Criminal Justice and Public Safety by a vote of 8-5, with all Republicans on the committee voting against his confirmation, and all Democrats voting in favor. The full Senate refused to override the committee's action by a vote of 21-13, once again with all Republican present voting against confirmation, and all Democrats voting in favor. Despite unprecedented public opposition to a nominee to head the Department of Public Safety, including thousands of calls, letters, emails and petition signatures and hundreds of individual gun owners flooding into the State House to attend the public hearing, the public outcry fell on deaf ears with too many legislators. 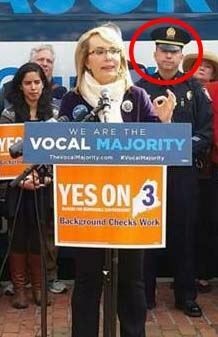 Mr. Sauschuck is a high-profile anti-gun activist who has used his position as Chief of the Portland Police Department to promote all manner of gun control, including banning private sales and transfers of firearms, bans on standard-capacity magazines and semiautomatic firearms, gun confiscation without due process, and so on. While the Mills Administration maintains that Commissioner Sauschuck cannot make law, it is the role of commissioners to function as advisers to the Governor and to the Legislators on matters within their purview. Commissioner Sauschuck will be the prime adviser to the Governor and the Legislature on matters of gun control, and will direct the State Police, the biggest issuer of concealed handgun permits in the State. Governor Mills has placed a committed anti-gun advocate at the head of Maine law enforcement, and given him a leading voice in the making of gun policy in Maine. Gun owners should be very wary. 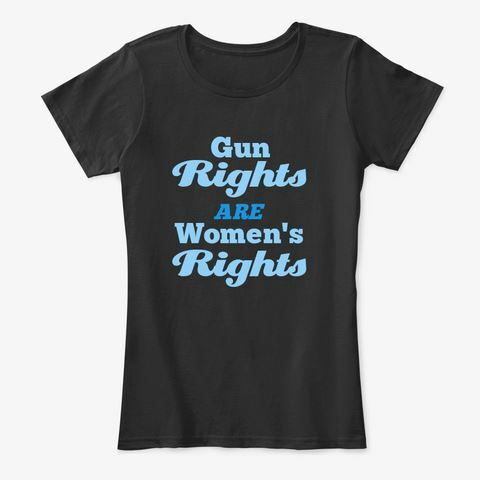 Gun Rights Are Women's Rights Tees (and Onsies!) now available in the Store. Challenge Coins Coming -- Order Yours! Show your pride with a Gun Owners of Maine Challenge Coin. Order yours today. Get involved with your Gun Owners of Maine local affiliate group today! All the Maine gun rights news you need to know, and man, is there is a lot to know right now. Read the latest issue here. Opponents of gun rights, drunk on the perception of power, have been working overtime to create a breathtaking array of anti-gun bills which will be considered by the Legislature this session. Just about every major anti-gun theme is represented, and several possible stealth bills are also in the mix. See the full list here. SAFER Maine, the Statewide Access to Firearms Education and Resources project, is now online. 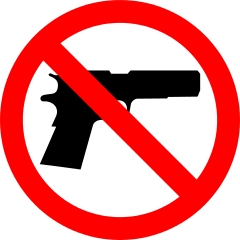 SAFER is a free online resource which provides a Basic Handgun Safety and Introduction to Concealed Carry distance learning course, perfect for those who want to take advantage of Maine's Constitutional Carry law, which went into effect October 15, 2015. December 19, 2018 - The Justice Department has released its final rule regarding so-called "bump stocks", classifying the devices as machine guns. Gun Owners of Maine is very disappointed in the Administration's action in regard to bump stocks, and we believe that banning these devices through regulatory rulemaking illegally and unconstitutionally usurps the role of Congress, which has the sole power to make new law. We expect this new rule to be promptly challenged in Federal court, and to be firmly rejected. Constitutional Carry became the law in Maine on October 15, 2015; if you are 21 years of age or more (18+ if active duty or honorably discharged US military) and are not otherwise prohibited from possessing or carrying a firearm, you can now exercise your right to bear arms without obtaining a permit. To learn all what you need to know to carry a gun lawfully and safely, sign up for our 100% free online SAFER Basic Handgun Safety and Introduction to Concealed Carry course. Join our Facebook group for news, information, and discussions of gun rights and general gun talk. It's the best place to keep up-to-date on news, issues, events and developments that affect your gun rights. Our community is comprised Federal Firearms Licensed individuals, training instructors, armorers, law enforcement individuals, attorneys, doctors, students, mothers and fathers who are passionate about understanding and expressing our constitutional rights. Join us and add your voice to ours. Our voice grows stronger with every new member! As a community we can ensure that our rights shall not be infringed! Gun Owners of Maine, On The Air! Watch our 10/15/2015 interview with Jon James on Moose 92, the day Constitutional Carry became law, and get the facts. If you want to take advantage of the new law, sign up for our absolutely free online SAFER Basic Handgun Safety and Introduction to Concealed Carry course.